Wanted to share my 1st dual material part print. Was very easy to do. Just used the standard PLA profile provided by maker gear. Enabled prime tower in S3D. I don't think the tower was necessary, when the tool heads switched they started in the infill so any imperfections would have been hidden. I was a little worried about all the tweeking I would have to do to get the function working properly, but I got this right out of the box! Whats everyone else's experience with dual material? Looks fantastic. 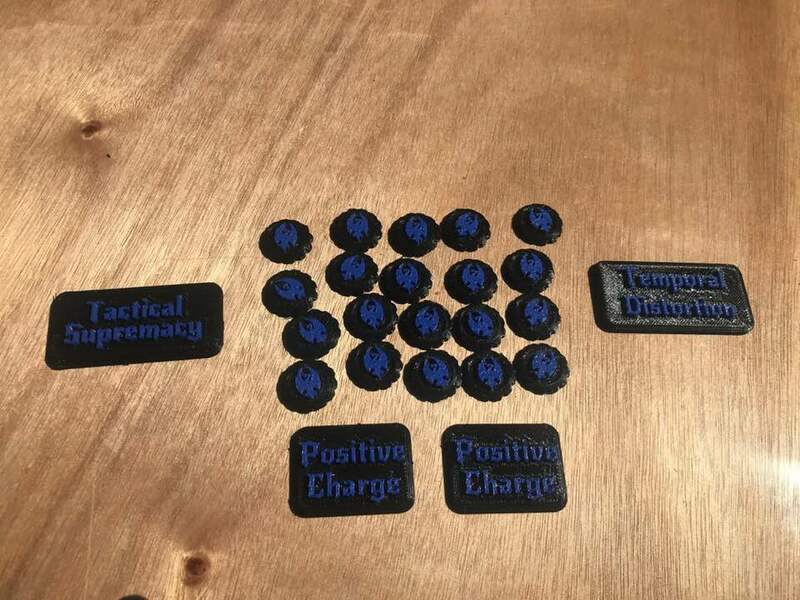 My M3ID arrives on Friday and I have a bunch of Warmachine dual color tokens I'm very excited to make. I'll post them here once I finally get my machine up and running. Made a bunch of tokens! Took a while to figure out my process and it takes a lot longer than expected to push these out from a design standpoint (a lot harder than inkscape!!!) but the product you get is gorgeous and I love it! 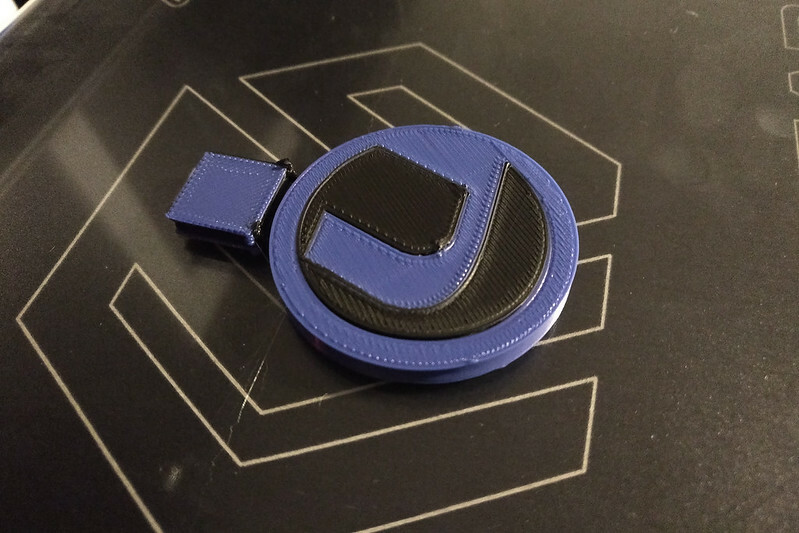 Umburry how are you designing the dual color to print together? I have been trying to find a guide on how to do this. I did it by making two parts, both with a surface that will lay flat on the bed and with one part ending where the other part begins. It usually means that the part that gets printed on top of the other will include a separate piece that is only for alignment. Then, often, it is a big PITA to align the models in S3D.